This is one of the novels I really like: simple, no fripperies, simple people with a simple life. Of this current I love Shotgun lovesongs (read my review here), all Kent Hruf's novels (read the reviews here and here). I really liked The free too for the same reasons; there is a lot of sadness and tragedy in it, illnesses and drugs and poverty, but also a sense of hope and of people being kind to each other. It is not a and-they-lived-happily-ever-after kind of novel, but it is a book that really makes you think about what is important in life. Highly recommend it and I will surely read more by Willy Vlautin. Severely wounded in the Iraq war, Leroy has lived a half-life in a group home for eight years. Unable to bear it any longer, he commits a desperate act which helps him to disappear to another place. Freddie is the night porter at the home, who works two jobs yet can't make ends meet. Buried in debt from his younger daughter's medical bills, he's forced to consider a criminal proposition. Pauline is the nurse who tends Leroy, who lives her life in an uncomplicated way, emotionally removed, until she meets a young runaway. Willy Vlautin has published five novels, THE MOTEL LIFE, NORTHLINE, LEAN ON PETE, THE FREE, and DON’T SKIP OUT ON ME. THE MOTEL LIFE was turned into a major motion picture starring Kris Kristofferson and Emile Hirsch in 2012. Vlautin lives outside of Portland, Oregon and is the founding member of the bands Richmond Fontaine and The Delines. This is one of those thrillers/crime books that got me glued to the pages from the very beginning to the end. It starts full of promises for a super-packed of mystery novel and delivers all the way through. The only criticism, if criticism is, is that it doesn't read as a plausible story which could really happen, both for the investigation itself and for the family situation of the Brights. You can't not love Jack, the young boy turned head of a family turned thief, his bravery, courage and strength in keeping his sisters alive and together. I was not very impressed with the police force, Raynolds too weak and strange especially. Overall a great thriller, full of suspance, great escapism. But she doesn't come back. She never comes back. And life as the children know it is changed for ever. Three years later, Jack is still in charge - of his sisters, of supporting them all, of making sure nobody knows they're alone in the house, and - quite suddenly - of finding out the truth about what happened to his mother. . .
Belinda Bauer grew up in England and South Africa and now lives in Wales. She worked as a journalist and a screenwriter before finally writing a book to appease her nagging mother. With her debut, Blacklands, Belinda was awarded the CWA Gold Dagger for Crime Novel of the Year. She went on to win the CWA Dagger in the Library for her body of work in 2013. Her fourth novel Rubbernecker was voted 2014 Theakston Old Peculier Crime Novel of the Year. 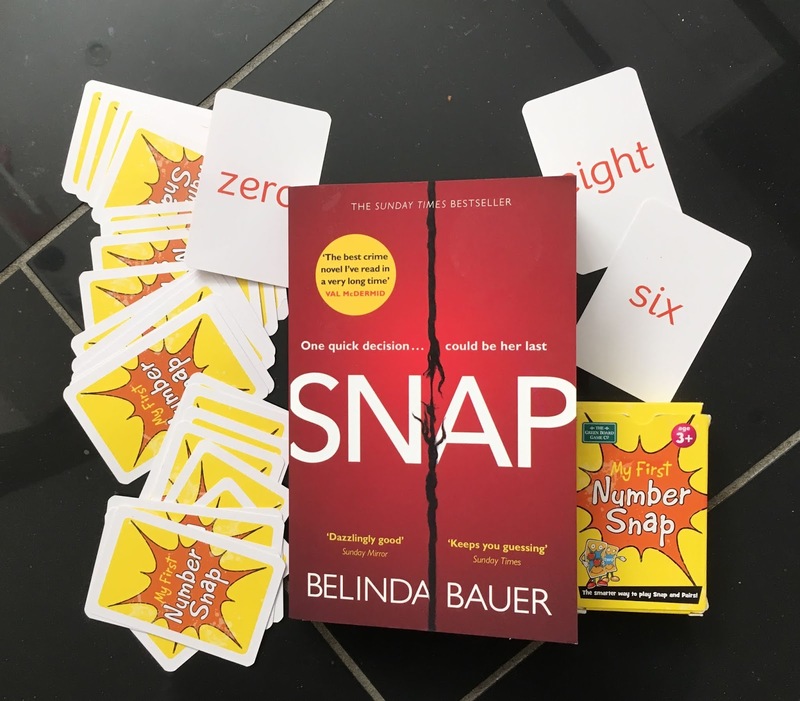 In 2018 her eighth novel, Snap, was longlisted for the Man Booker prize. Her books have been translated into 21 languages. She has also written the thriller High Rollers under the pen-name Jack Bowman.